Celestial standards play a major role in observational astrophysics. 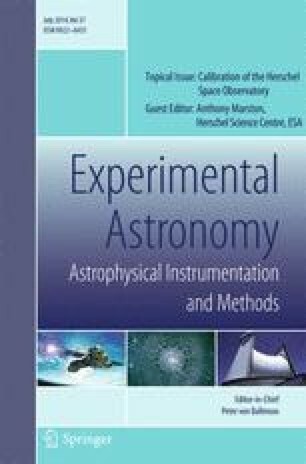 They are needed to characterise the performance of instruments and are paramount for photometric calibration. During the Herschel Calibration Asteroid Preparatory Programme approximately 50 asteroids have been established as far-IR/sub-mm/mm calibrators for Herschel. The selected asteroids fill the flux gap between the sub-mm/mm calibrators Mars, Uranus and Neptune, and the mid-IR bright calibration stars. All three Herschel instruments observed asteroids for various calibration purposes, including pointing tests, absolute flux calibration, relative spectral response function, observing mode validation, and cross-calibration aspects. Here we present newly established models for the four large and well characterized main-belt asteroids (1) Ceres, (2) Pallas, (4) Vesta, and (21) Lutetia which can be considered as new prime flux calibrators. The relevant object-specific properties (size, shape, spin-properties, albedo, thermal properties) are well established. The seasonal (distance to Sun, distance to observer, phase angle, aspect angle) and daily variations (rotation) are included in a new thermophysical model setup for these targets. The thermophysical model predictions agree within 5 % with the available (and independently calibrated) Herschel measurements. The four objects cover the flux regime from just below 1,000 Jy (Ceres at mid-IR N-/Q-band) down to fluxes below 0.1 Jy (Lutetia at the longest wavelengths). Based on the comparison with PACS, SPIRE and HIFI measurements and pre-Herschel experience, the validity of these new prime calibrators ranges from mid-infrared to about 700 μm, connecting nicely the absolute stellar reference system in the mid-IR with the planet-based calibration at sub-mm/mm wavelengths. We would like to thank the PIs of the various scientific projects for permission to use their Herschel science data in the context of our calibration work. In the following tables we list the available photometric observations (calibration and science observations) with one of the four asteroids in the field of view. Some of the early measurements were used with very different instrument settings and non-standard observing modes. The corresponding fluxes are not well calibrated and we excluded them from our analysis.